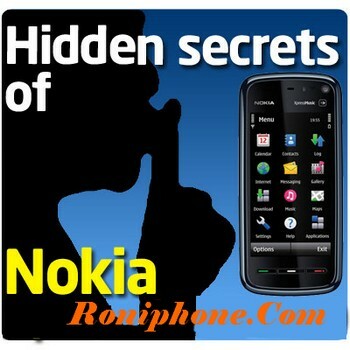 Nokia Codes Nokia Phone Secrete-Codes..(20+ Codes)!! will show a 50% incerase in battery. uses the best sound quality but talk time is reduced by approx. 5 ) #pw+1234567890+1# Provider Lock Status. (use the "*"
14 ) *#61# Allows you to check the number that "On No Reply"
16 ) *#67# Allows you to check the number that "On Busy Calls"
=> To exit this mode -you need to switch your phone off then on again..